If you're having a backyard wedding in Fort Collins, local photographer Mark Creery Photography can capture the intimate feel of your wedding. 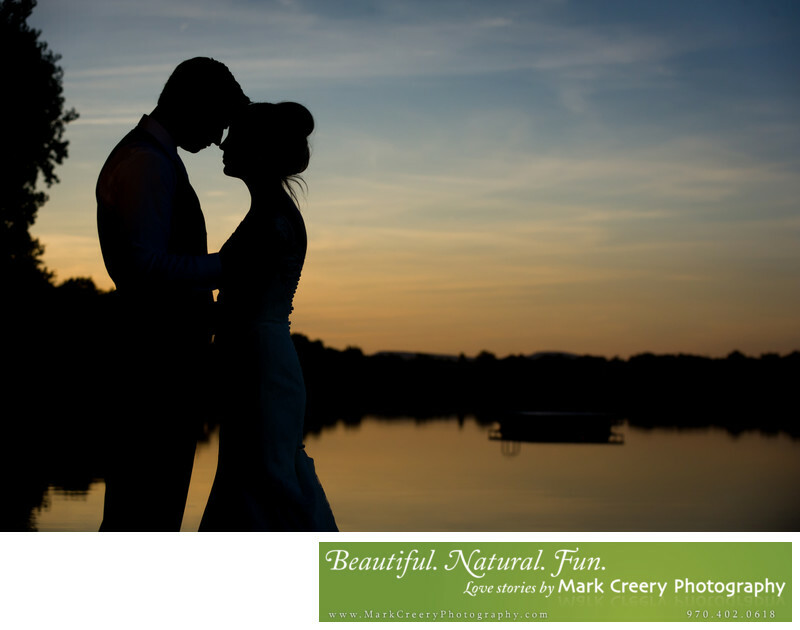 This wedding photo was taken in Fort Collins at a private lake at sunset. Megan's grandparents have lived at this location for a long time, so Megan and Chase had a backyard wedding at their home. She has great memories visiting and playing at the lake in the photo. During the reception I stole Megan and Chase away for a few minutes to capture some sunset photos. In this shot I decide to focus on the connection between them by creating a silhouette and having the background add to the romantic feel.